This bill amends the Internal Revenue Code of 1986 to exclude from gross income for seven years amounts earned from the sale of drugs that demonstrate breakthrough therapies for treating Alzheimer’s disease. This bill amends title XVIII of the Social Security Act to establish a demonstration program to provide integrated care for Medicare beneficiaries with end-stage renal disease. This bill extends protections under the Family and Medical Leave Act of 1993 to include part-time workers. This bill extends the authorization of appropriations to the Department of Veterans Affairs for purposes of awarding grants to veterans service organizations for the transportation of highly rural veterans. This bill amends titles XVIII and XIX of the Social Security Act to improve end-of-life care and advanced illness management. This bill amends title XVIII of the Social Security Act to reduce the occurrence of diabetes in Medicare beneficiaries by extending coverage under Medicare for medical nutrition therapy services to such beneficiaries with pre-diabetes or with risk factors for developing type 2 diabetes. This bill establishes a pilot program promoting an alternative payment model for person-centered care for Medicare beneficiaries with advanced illnesses. This bill amends title II of the Social Security Act to provide for cost-of-living adjustments indexed to the Consumer Price Index for the Elderly. This bill amends Chapter 8 of Title 31 of the Official Code of Georgia Annotated, relating to the care and protection of indigent and elderly patients. It also provides for the establishment and operation of a drug repository program to accept and dispense unused prescription drugs. Recently passed in Louisiana (S.B. 376), this bill enables family caregivers to provide safe and effective home care to older adults. In particular, the bill supports family caregivers when their loved ones are admitted to the hospital, and helps caregivers learn how to safely provide care at home once their loved ones are discharged from a medical facility. The bill contains three central provisions: (1) the name of the family caregiver is recorded when a loved one is admitted into a hospital or rehabilitation facility; (2) the family caregiver is notified if the loved one is to be discharged to another facility or back home; and (3) the hospital or rehabilitation facility must provide an explanation and live instruction of the medical tasks—such as medication management, injections, wound care, and transfers—that the family caregiver will perform at home. This bill provides a gross income tax credit to family caregivers of former armed service members with service-connected disabilities who served in any war or conflict on or after September 11, 2001. The refundable credit is 100 percent of the service member’s disability compensation or $675, whichever is less. This bill amends the State Lottery Law to expand the Pharmaceutical Assistance Contract for the Elderly Needs Enhancement Tier (PACENET) program eligibility; revise the reimbursement formulas for pharmacies; and changes the Pharmaceutical Assistance Review Board to an advisory board with additional membership and enhanced duties. A new report from the Home Care Association of America and the Global Coalition on Aging raises the question of who is going to provide care for the 84 million Americans who will be 65 years and older by 2050--nearly 70 percent of whom will be unable to care for themselves at some point without assistance. The report argues private-pay home care fills a critical gap for aging Americans that current systems of institutional care, government programming, and family caregiving alone cannot address. This research and policy blog post from AARP focuses on a pilot Diabetes Prevention Program (DPP) funded by the Centers for Medicare & Medicaid Services (CMS) aimed at preventing prediabetic Medicare beneficiaries from developing diabetes. This pilot was launched in response to the growing public health concern about the nearly 25 percent of individuals 65 years of age and older who have been diagnosed with diabetes, and the estimated one-half of the Medicare population who are prediabetic. The program focused on lifestyle interventions like healthy eating and increasing exercise, and yielded substantial results in participant weight loss and decreased risk of developing diabetes. The pilot also yielded savings of $2,650 per enrollee, more than covering the cost of the program. Consequently, CMS determined that the DPP reduces the incidence of diabetes among prediabetic Medicare beneficiaries and saves the program money, making it eligible to be a permanent Medicare benefit. This interactive report, just released from Genworth, shows that the rising cost for services and supports needed by people who need assistance with basic life functions or activities is outpacing their ability to pay for those services. Moreover, the results show that where you live really does matter, as there is a great deal of variation in health care costs across the states. In some states, for instance, the cost may be up to 20 percent higher than the national average. For more information, read about these trends on AARP’s Thinking Policy blog. According to a new Fidelity Investments Family & Finance Study, the results of which are the topic of this article from Yahoo! Finance, most parents (93%) feel that it is wrong to become financially dependent on one’s kids, but only a third (30%) of adult children surveyed feel the same. The findings suggest that adult children see their parents’ need for help not as an obligation, but as an opportunity to pay them back for the help and support they once received from them. The study revealed, however, that while 72% of parents expect one of their children to assume long-term caregiver responsibilities in retirement, 40% of children did not know of this expectation. Further, nearly four in 10 families disagree on roles and responsibilities--including caregiving--as parents age. Can Family Caregivers Reduce Hospital Costs? This profile from Forbes addresses important new research, published in the prestigious National Bureau of Economic Research, which attempts to answer the question of what family caregivers are worth, and the degree to which they save the government a significant amount of money in health care spending. Researchers examined the results of the Cash and Counseling Demonstration program, a 15-state Medicaid program that made it possible for people with disabilities (including older adults) to stay at home by directing their own care. The results of the study demonstrated that those in the program were a less likely to visit the emergency room or have extended hospital stays, as compared to standard Medicaid recipients--yielding savings of $1,300 over nine months. Health outcomes also improved for these individuals upon more family involvement in their care. Though the study was small and limited to Medicaid data, it raises important questions about how we effectively and efficiently channel government resources towards vulnerable populations in need of care, and towards the families that care for them. This Fiscal Times article highlights the importance of easing the burden on the tens of millions of family caregivers who provide in-home care for aging parents and other loved ones. Citing movement towards home care solutions in both the US legislature and research and advocacy institutions, the article suggests that the best of American innovation is related to improving quality of life through home care, creating new economic possibilities in the form of new formal caregiving jobs and in savings to those who require care. This profile from the Huffington Post explores two personal stories connected by important trends in caregiving: the growing impact of Alzheimer’s on communities of color and the growth of the millennial caregiver. Kamaria’s and Paola’s experiences demonstrate the growing--and disparate--impact of dementia on communities of color, as compared to white. African Americans, for example, are three times more likely to get Alzheimer’s than their white peers. Latino families face many barriers to the easy provision of care, ranging from difficulty accessing a timely and accurate diagnosis to the lack of bilingual support services available to working families. Both women’s stories also illustrate the shift in caregiving for loved ones with Alzheimer’s and dementia: one in every four caregivers in the US is a millennial (18-30 years of age), and these individuals must face the challenge of navigating the caregiving landscape while still establishing themselves as adults. This article from Next Avenue profiles many of the expanded programs and services that help to support family caregivers and their loved ones, making it easier for older adults to age at home while still receiving quality long-term care. In particular, the article examines the impacts of structured family caregiving programs and “cash and counseling,” programs, a model under which beneficiaries can pay family or friends for caregiving services--thereby enabling them to get more help than they would if they paid for home care through an agency. This article from AARP discusses the importance of correcting health care providers’ misinterpretation of the 1996 Health Insurance Portability and Accountability Act (HIPAA), whose privacy rules make them hesitant to capitalize on the digital record-keeping and transfer of medical files. As a result of this misunderstanding, information necessary for patient care is not often available to the right clinician at the right time, and family caregivers face new obstacles in getting the information they need to provide care at home. In reality, the law does not prohibit health care providers from sharing digital medical records that are necessary for patient care--an exchange which can mean better care, and better health outcomes, for consumers. Hilarity for Charity and the Home Instead Senior Care network are collaborating to award home care grants to those providing care to their loved ones living with Alzheimer's disease or other dementias. The grants will be awarded across the United States and Canada, and are meant to contribute to the provision of exceptional home care to families affected by this disease, and to give these families support and rest. The Brookdale Foundation Group has issued a Request For Proposals (RFP) for the start-up of new social model Group Respite or Early Memory Loss (EML) programs for people with Alzheimer's disease and related dementias. In October 2016, The Foundation will be awarding up to 15 seed grants for the development of dementia-specific Group Respite programs or specialized programs for people with EML. The grants are $10,000 for the first year with an opportunity for a second tier grant of $5,000. Any 501(c)(3) or equivalent not-for-profit service agency wishing to develop a social model day program for Alzheimer’s families is invited to apply. Proposals are due at The Brookdale Foundation Group office in New Jersey on Thursday, July 7, 2016. More information can be obtained by visiting www.brookdalefoundation.org. FCA often receives requests from the news media seeking family caregivers served by FCA willing to be interviewed about their caregiving experience and how FCA has helped them. If you would like to share your caregiving stories and how FCA has helped you, please complete the online form to be added to the list of FCA's caregiver media ambassadors. Are you having difficulty communicating with relatives and family members about caregiving decisions? Are you worried about an older family member or friend falling and injuring themselves? Are you in need of help managing the finances of a relative or parent who is no longer able to do this themselves? You can get information and advice on these and other caregiving topics at our newly expanded webinar archive, where all FCA webinars are now free to view online. The Atlas of Caregiving Pilot offers information on how caregivers can create their own care map, a helpful way to visually represent all the people and services involved in a family caregiving situation. Once completed, the map will show all the persons who are providing care and the relationships between them. The SCAN Foundation, through its Linkage Lab Initiative, offers a suite of resources for CBOs seeking partnerships with the health care sector. Resources include case studies from the first cohort of Linkage Lab grantees (includes information about their key objectives and strategies, successes, challenges, and lessons learned), free online learning modules for CBOs to build leadership and management capacity, and perspectives from Dr. Bruce Chernof on the importance of forming effective health care/CBO partnerships. CRC-SH has developed a free web-based toolkit to guide CBOs through the selection, implementation, and evaluation of EBPs to better promote older adult health and well-being. NOTE: All FCA/NCC Caregiving Policy Digest Research Registry listings are displayed in the manner they were received by FCA/NCC. Are You a Caregiver for an Older Adult with a Pet Cat or Dog? FCA/NCC Program and Policy Specialist. donation through Network for Good (or by check) by clicking here. We gratefully thank you for your support! If you shop on Amazon please consider supporting FCA through AmazonSmile. Amazon will donate to FCA based on your purchase. 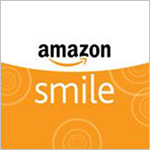 All you need to do is use the following link when you shop: smile.amazon.com/ch/94-2687079.